June 10, 2014 - Endorsed by the PA Historical Museum Commission to be placed on the National Registry of Historical Places. 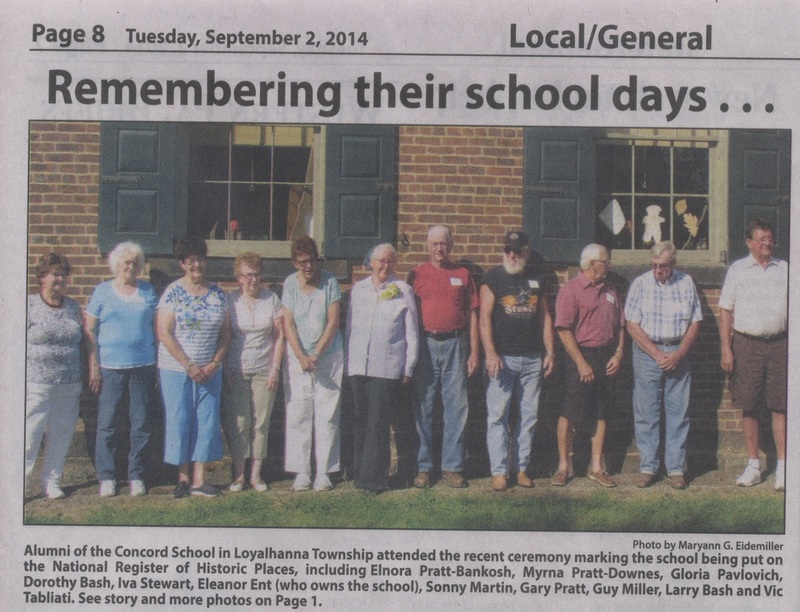 August 23, 2014 - Dedication and Celebration held at the Concord School to announce the registry listing and honor alumni. 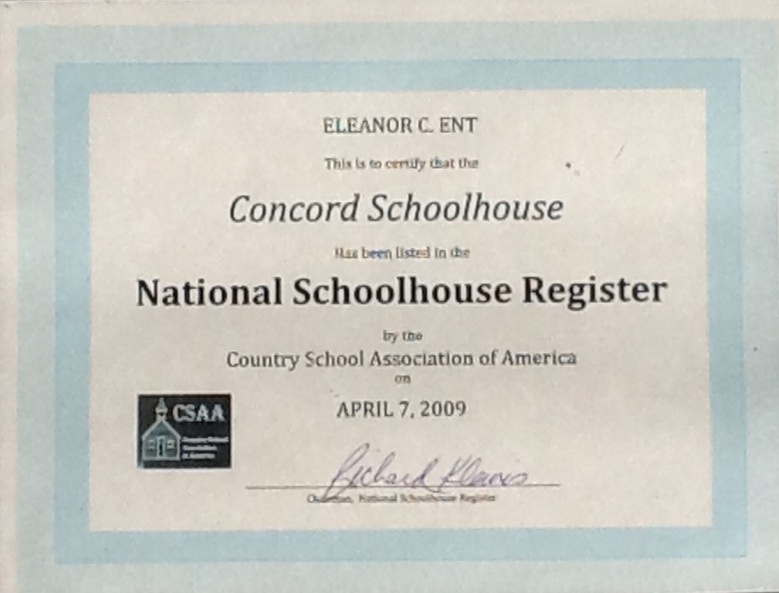 The Concord School becomes the first schoolhouse in Westmoreland County, PA to be listed on the National Registry of Historic Places. 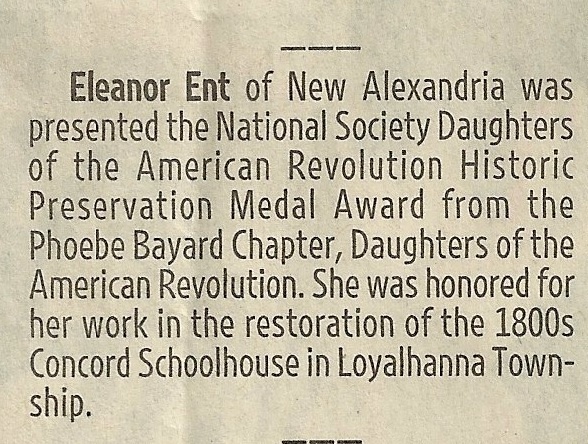 Mrs. Eleanor Ent was honored for her preservation of the school as well as alumni were recognized. 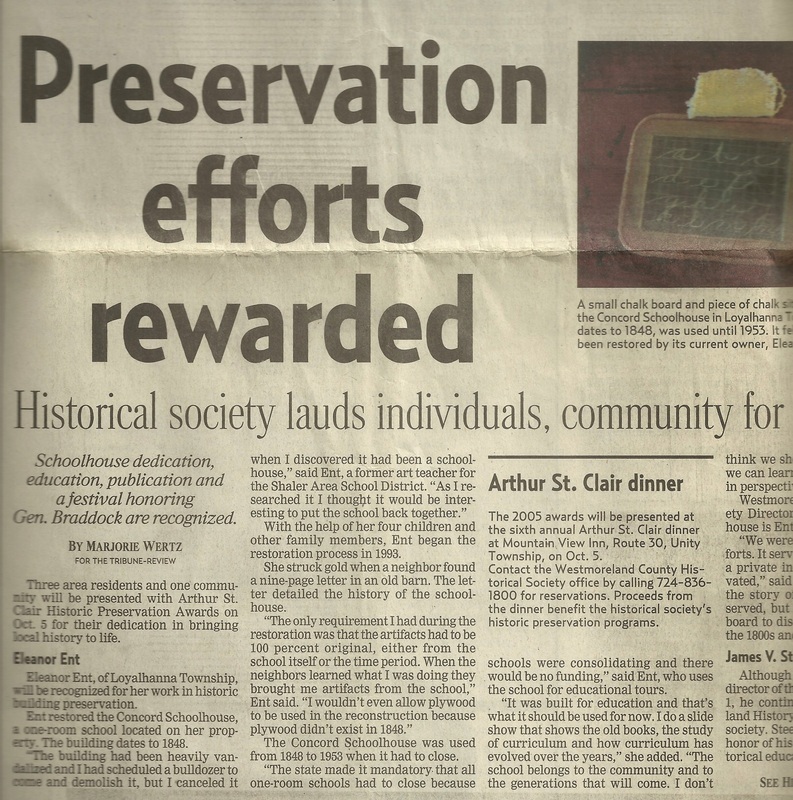 Two newspaper articles were published to document the event and one article to highlight the alumni. 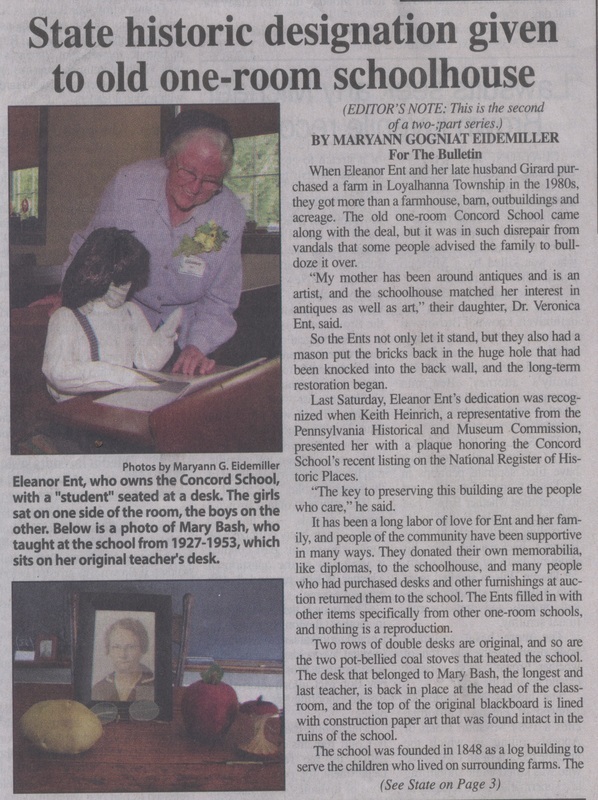 To read the entire Blairsville Dispatch article "Alumni help mark former Saltsburg school's addition to historic register"
The prestigious Arthur St. Clair Award was presented to Mrs. E. C. Ent on October 5, 2005 by the Westmoreland County Historical Association. 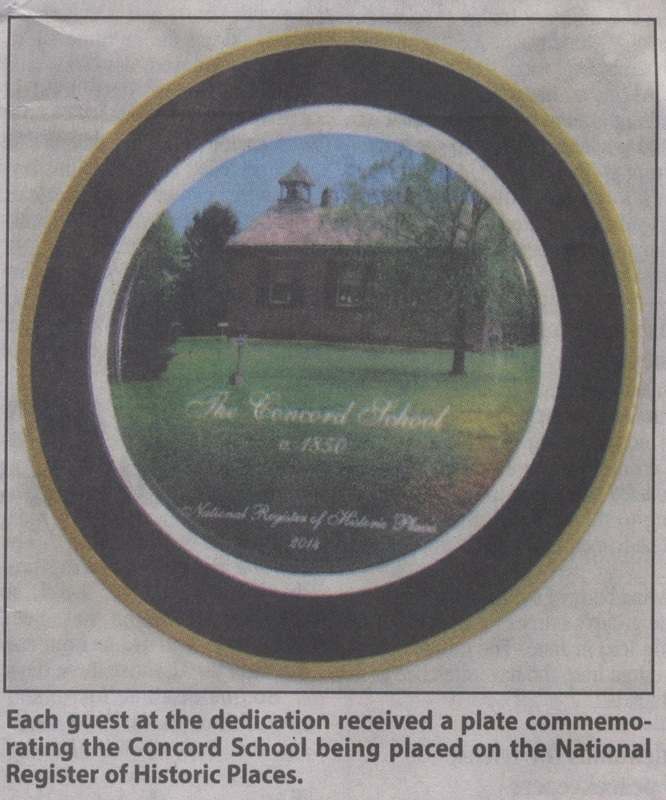 Mrs. E. C. Ent was selected for this award based on her tireless commitment to the preservation of the Concord School. 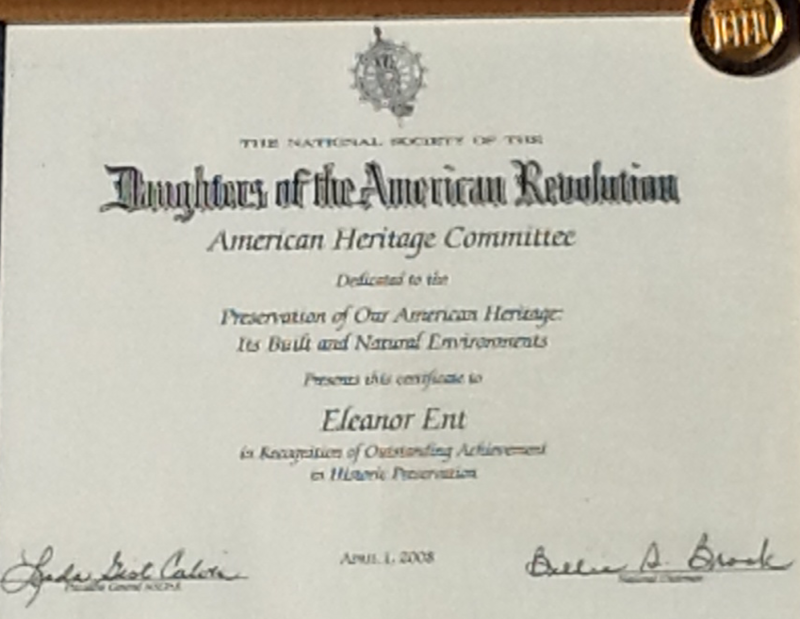 Mrs. E. C. Ent was awarded this honor on April 1, 2008. 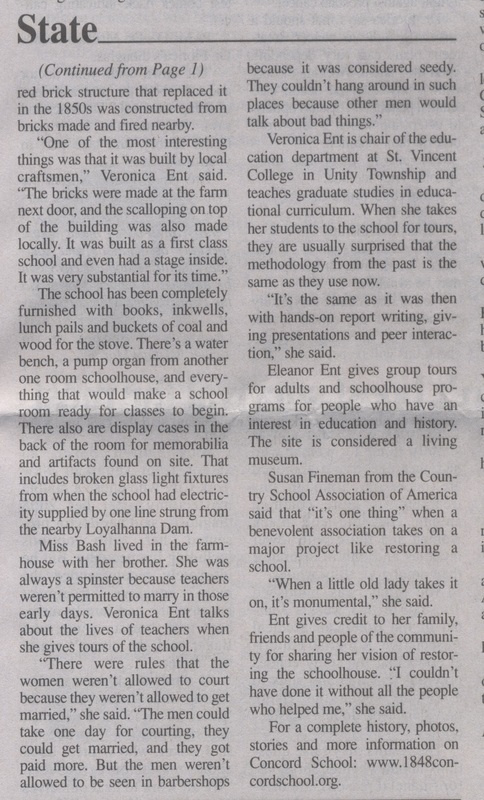 Mrs. E. C. Ent was given recognition for her assistance to a local school district to help recreate a one-room school replica next to the current Hutchinson Elementary School of Greensburg, PA. The restored Concord School served as a reference and resource to this project. 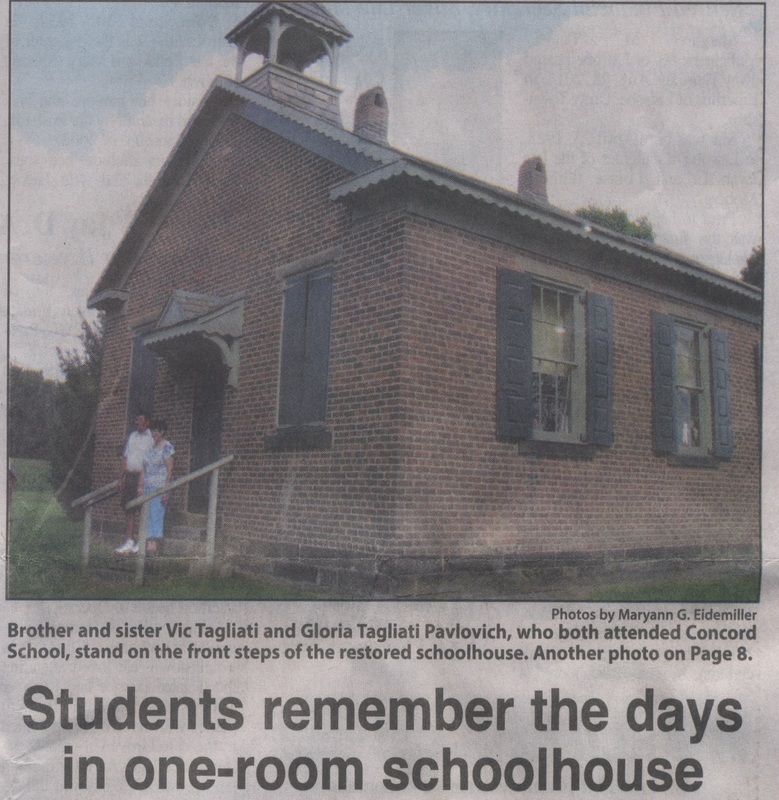 To read the entire article please see Pittsburgh Post Gazette, Sunday, January 07, 2001 "The One-Room Schoolhouse, Circa 2001"